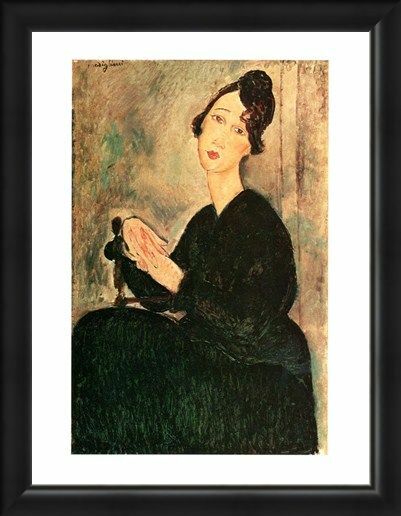 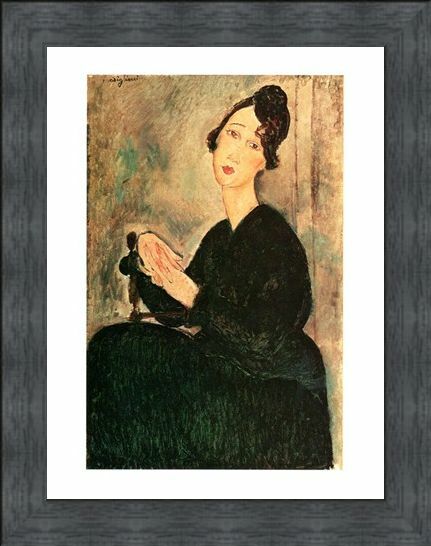 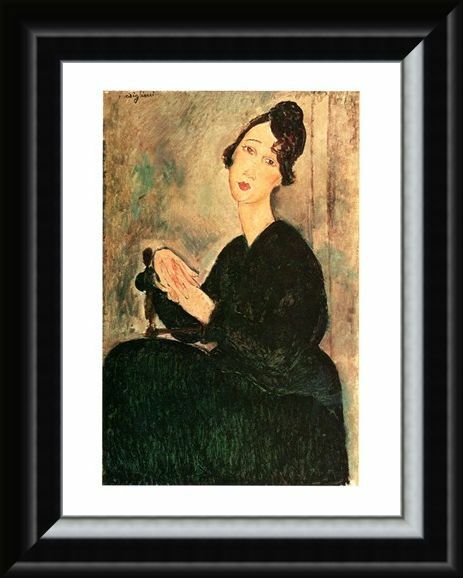 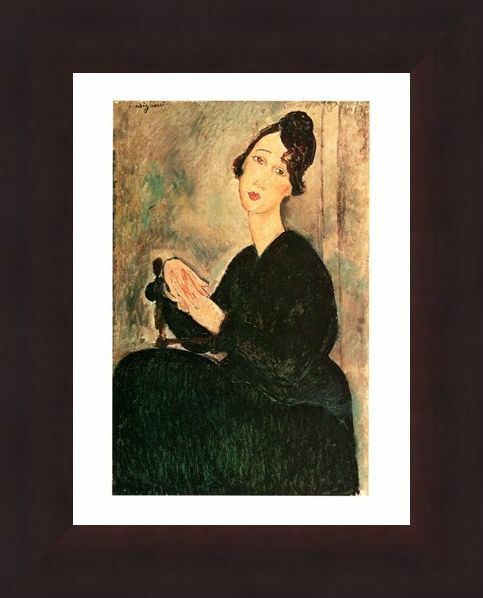 Art Print: Sitting in an elegant pose for her portrait, this woman (Dedie Hayden) in a black dress was one of many ladies who posed for the Italian artist Amedeo Modigliani during his time as a painter. 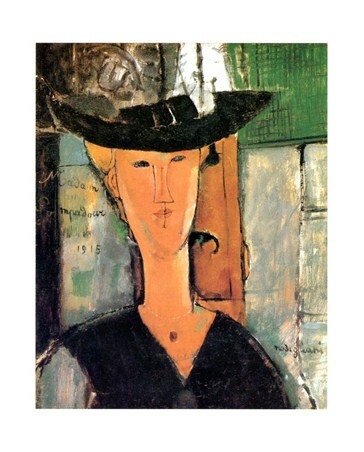 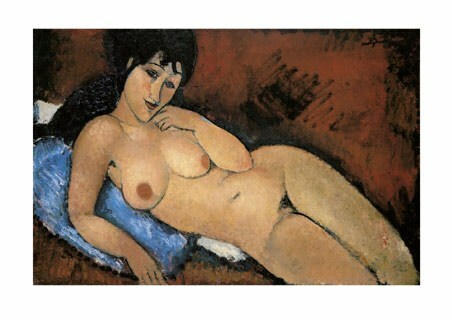 Modigliani spent many years in France, trying to make ends meet earning his living as a struggling artist. 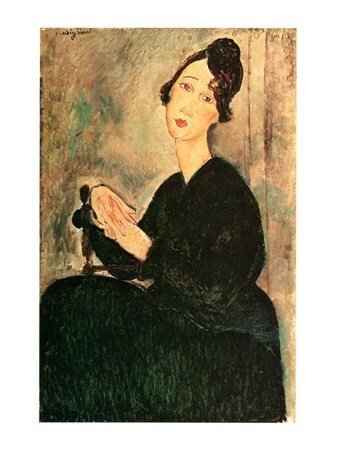 His work was easily recognized as his subjects often had an elongated face and body. 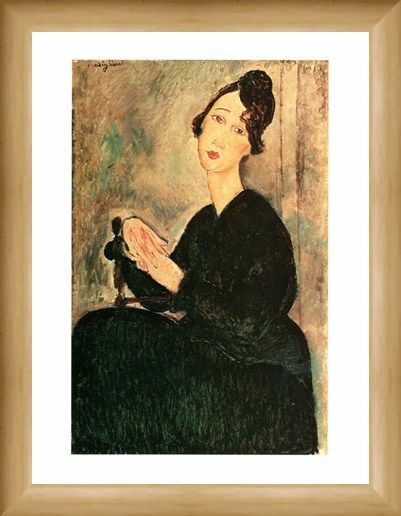 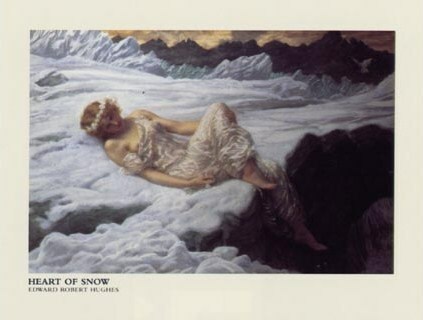 This painting entitled "Ritratto Di Dedie" was one of his most beautiful creations with Dedie wistfully glancing in the direction of the artist as he painted her. 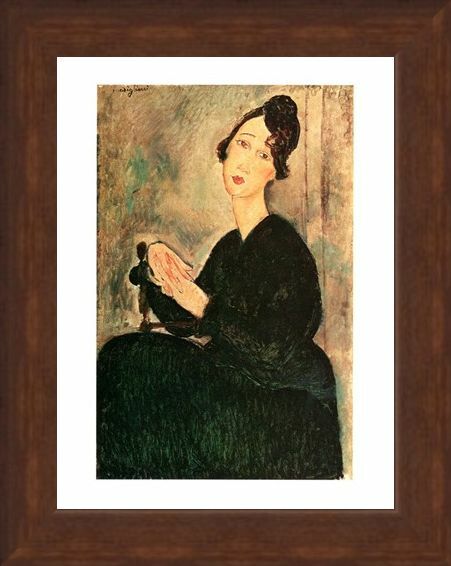 High quality, framed Ritratto Di Dedie, Amedeo Modigliani mini print with a bespoke frame by our custom framing service.